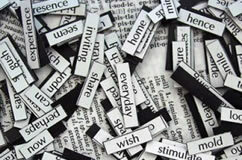 Copywriting is one of the most imporant tools in the marketing communications process. Copywriting enables a company or organisation to speak directly to it’s customers in an effort to “convert” as many customers as possible. This “converting” of customers can take the form of a sale, a lead or any other action that you would like customers to perform that is of benefit to you or your organisation. Copywriting is a marketing tool that involves using words to promote either a person, business, opinion or idea. Copywriting forms a fundamental part of the majority of marketing material that is produced by any individual or organisation as it directly conveys a message to the reader. The term “copy” can be applied to the main body of text intended for printing, however the term “copywriting” is usually reserved for text that is created for promotional purposes. The main purpose of copywriting is to ensure that the person reading the copywriting material “acts” e.g. makes a purchase or makes an enquiry. Copywriting material can appear in both online and offline media including direct mail, lyrics, website content, online advertisements, e-mail, television or radio commercial scripts, press releases, white papers, catalogs, billboards, brochures, magazines and sales letters. Copywriting also appears in social media content including blogs, tweets, and social-networking websites. Copywriting on websites can vary in it’s purpose and may be written specifically for the purposes of Search Engine Optimisation (SEO), know as SEO copywriting. SEO copywriting is designed specifically to achieve high search engine rankings for specific search terms and may include some repetition of keywords that would not normally appear in a copywriting piece specifically targeted at the end reader. Good Letter Writing are able to provide expert copywriting services to any market or industry. All that we require is that our customers provide the technical details for the copywriting and we will do the rest. If you are interested in our copywriting services or would like to find out more please contact us. Advertising copywriting is specifically geared towards television, radio, theatre, the internet, mobile phone and newspaper mediums. When advertising copywriting it is important to relate your article to the customer, which unfortunately is often very difficult as advertising is about targeting more than a single person. The best way to achieve a direct relationship with the customer is by either using more generic and broad concepts that are applicable to the majority of people but at the same time seem personal or if your product or service is targeted at a specific market segment then use concepts applicable to this. It is also important to consider reader engagement when advertising copywriting and as such not bombard the reader with too much information. Use the headline of your copywriting to grab the readers attention, the goal should be to ensure that the target audience reads the first sentence. Then use the first sentence to deliver one clear focused message that will easily be remembered. After you have delivered the really punchy message include your features and benefits as you see fit, some readers may decide to read on others may not, but the choice should be theirs. Empathise not sympathise with your audience, people do not like to have pity taken on them. Your advertising copywriting should not set out to tell your customer how great your company is but rather why they should even care in the first place. Before people read a full copywriting piece, in more cases than not, they are likely to skim read your article so ensure that your article is easy to scan. Take into account that often the most powerful messages can be delivered visually. Remember to convey your biggest selling point as quickly as possible, if you have a 50% sale on then make sure that you tell the customer, in the headline if necessary. Finally and most importantly, be precise, concise and clear with the message that you are trying to deliver with your advertising copywriting. Direct mail copywriting enables you to deliver your message directly to a highly targeted audience which can consist of new prospects, existing customers, lapsed customers or any combination of these. Unfortunately due to this great advantage of being able to be very targeted with direct mail copywriting this medium has been over exploited and people have become desensitised to receiving direct mail often choosing to disregard it without even reading it. This is why it is important to get direct mail copywriting absolutely correct in order to exploit it’s full potential. Before you cary out your direct mail copywriting it is important to take into consideration the mailing list that you are planning to use to target your direct mail campaign. It is of the utmost importance to ensure that there is potential interest from your target market before releasing your direct mail campaign otherwise all of your direct mail copywriting efforts will have been in vain. If you have a product that is designed for the catering industry, then sending it to hotels, schools and restaurants on your direct mailing list, don’t waste time sending it to car garages or pet shops where the product is not relevant as you will be wasting both money and time. Once you are able to come up with a relevant targeted group to send your direct mail campaign to, then the next thing you need to consider is the quality of your product or service and the features and benefits. If you do not know the full list of features and benefits of the product or service that you are direct mail copywriting about then ask someone who does. It is important to convey your product or service in the best light possible so get your facts straight and deliver your message as concisely, precisely and clearly as possible. Finally, in order to help provoke a response to your direct mail copywriting offer something with it, whether it is 25% off or a BOGOF offer, this is sure to dramatically improve your success rate. Electronic media copywriting for television, radio is written in such a way that it can be made into commercials (known as radio or television commercial scripts). For the internet and mobile phone, electronic media copywriting is sometimes written to be either converted into commercials or to convey the message through displaying the text of the copywriting material only. These electronic media mediums enable you to reach your customers through a great variety of tools including websites, electronic brochures, web based catalogues, viral internet campaigns, online videos and more. These tools give the ability to accompany your electronic media copywriting with fresh and unique ways to deliver your message including flash media, 3d diagrams and interactive programs. Furthermore electronic media also enables you to dramatically reduce your costs where compared to releasing copywriting material on other formats. For instance the use of affiliate marketing enables you to market your electronic media copywriting material and only pay when you actually make a sale. One of the most important forms of electronic media copywriting is that of email marketing. Email marketing is similar to direct mail marketing in that you are able to be specific about your target audience, however email marketing has the added bonus of being very affordable. Good email marketing campaigns will successfully integrate imagery with electronic media copywriting with the goal of getting the reader to “click-through” to a website. The copywriting used in email marketing should be short, sharp and punchy and written in such a way that provides bait for the reader to want to find out more. Snippets of incomplete information or “cliffhangers” should be utilised and response rates measured through the use of website analytics. Given the ability to integrate these new types of media into your electronic media copywriting the importance of layout is emphasised. In order to compete with your competitors you must use visual concepts in order to capture your audiences eye, your competitors will be so if you don’t then your copywriting piece will not catch the potential customer’s eye. Sales letter copywriting, when conducted effectively, creates a direct link to the reader’s mind and speaks directly to the wants and needs of the individual. Successful sales letter copywriting is often the difference between spending a lot of money and getting no return and making profit increased. Sales letter copywriting can be measured in effectiveness simply by gauging how much traffic is converted into leads, sales or subscriptions. What is the competition trying to promote? What are the wants and needs of your customers? What will engage your customers? Essentially, knowing your customer intimately will enable you to effectively produce sales letter copywriting that will persuade your customers to take an interest in your offering. Do not just talk about you or your company and it’s great achievements, make sure you speak directly to the customer. Avoid using too much business jargon that the reader might not understand. Give the readers a reason to care about your product or service. Ensure that you are precise, concise and clear in the language, grammar and message that you are trying to deliver. Use a headline that will grab the readers attention. Try to include a “guarantee” if you are not willing to back the quality of your product why should your customer? Clearly outline the features and benefits of your product or service, often the use of bullet points is the most effective way when sales letter copywriting. SEO copywriting is specifically concerned with writing material that will improve the search engine rankings for particular keywords. While the main purpose of SEO copywriting is to ensure that a page ranks well, truly effective SEO copywriting will also ensure that the page that ranks well is relevant and engaging to the reader of the page. To find our more about how to successfully carry out SEO copywriting take a look at this Free SEO Guide and for even more in depth information take a look at this DIY SEO Guide. If you would like our assistance with advertising copywriting, direct mail copywriting,electronicmedia copywriting, sales letter copywriting or SEO copywriting then please contact us.